My longtime friend and early bandmate Ed Ponder passed away Sunday, December 2 2018. He was 77 years of age. Eddie was an amazing musician, friend, raconteur, maker of jerky and excellent salsa and barbecue sauce. He loved to laugh as much as a human could laugh.Musically his resume went the gamut from Bobbie Gentry to Wayne Newton to the Dillards to the Burrito Brothers and all sorts of gigs in between. Another former Burrito leaves us. 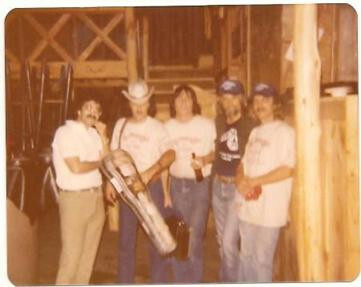 Here's a shot from 1977, I was hanging with my buddies from LA when they came through New Braunfels TX on tour. Left to right: me, Gib Guilbeau, Greg Harris, Skip Battin, and Eddie Ponder. Sneaky Pete was off somewhere, and the road manager, Eric White, took the photo. Of that band, only Greg Harris is still with us. The wheel keeps on turning. So sorry to hear this...the last time I saw Ed was at Sneaky's wake. I'll pass the news along to Greg. Herb, sorry for the loss of your friend. What band was that in the pic ? (ps. I like the rounded corners of the scanned pic). Didn't know the Dillards used a drummer. Those musicians, with Sneaky Pete, were the 1977 Flying Burrito Bros. Sorry to hear this. When I was about 14 years old I bought the FBB Live from Tokyo record with Eddie Ponder on drums. My first Flying Burrito Bros. record album, I really loved that album and my first musical acquaintance with Sneaky Pete and Gib Guilbeau, who became a mayor influence for my love for Country Rock. I had the Japanese version of the album and when the FBB came to The Netherlands I had it signed by them. Ed Ponder was replaced for the tour by Jim Goodall. 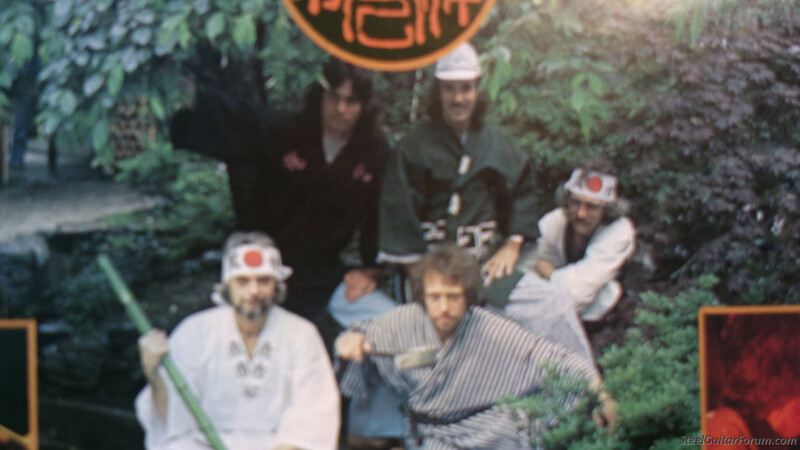 Skip Battin never saw the Japanese version of the album with different photo's. May Eddie Ponder rest in peace and i'll sure play the record again today.